This has been the year of mirrorless! There have never been so many attractive options for DSLR shooters to make the transition as there are now. But should we? Okay, despite the hopefully catchy opening lines, I’ll bury the lead and give you the short answer. Maybe. How’s that for taking a definitive stand? But before I am accused of dodging the question, I think I should also mention that for me personally, the answer is more like “probably not.” Let me explain. Like many of you, I have watched the seemingly endless stream of new mirrorless camera announcements from Nikon and Canon with high levels of anticipation. I am a longtime Nikonian. I cherish my beloved D850 enough that I wrote an essay about it. And the only real negative I’ve ever found to be consistent with my current setup is that paired with my preferred 24-70mm f/2.8, carrying the combination around can offer as much of a workout for my bicep as for my creativity. So, for me, the real appeal to the new mirrorless systems would be the decrease in weight. Notice I said “weight” as opposed to sheer “size.” I’ve had the good fortune of shooting with the excellent Sony a7R III and loved the image quality. I also loved the lighter weight. But for my own personal taste, the body of the Sonys were almost too small. Perhaps it is just because I’ve been shooting Nikon for the better part of the last two decades, but the ergonomics of the Sony just didn’t work for me personally. I stress again that I am making a subjective judgment based on my taste, and that is not intended as a knock of any kind on the camera itself. 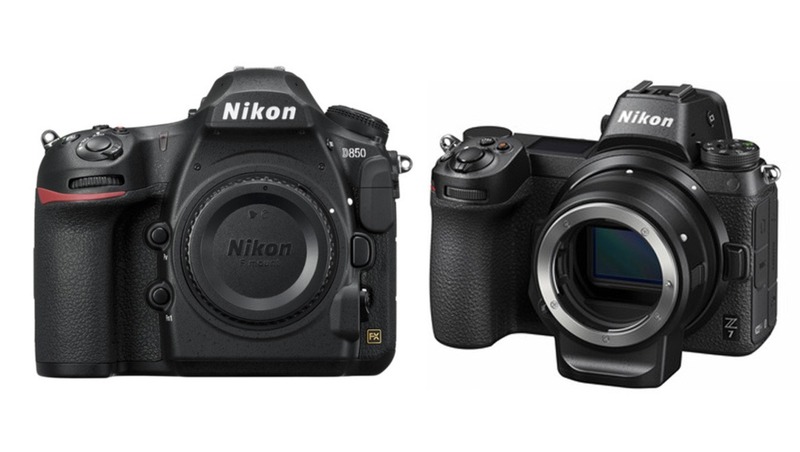 So, when Nikon announced that it would be making a mirrorless camera, I was super excited. Perhaps I could finally get the best of both worlds. The ergonomics of a Nikon with a weight closer to that of the Sony or my beloved Fuji X-T2. I love that camera. 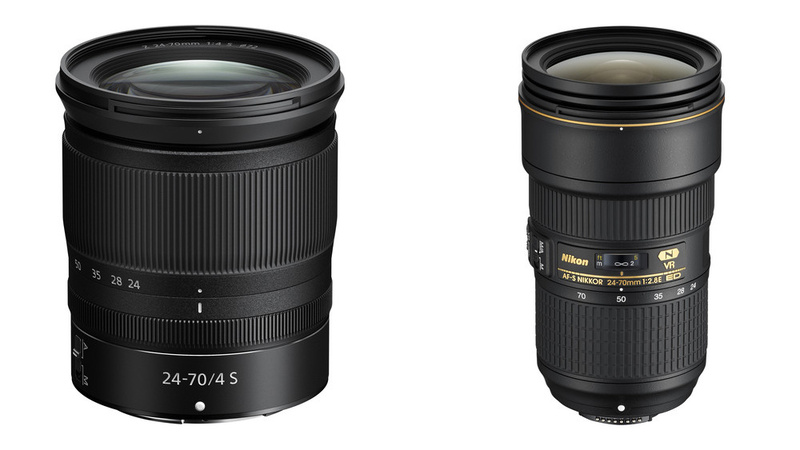 And, looking over the specs, Nikon pretty much nailed it. But still, even despite definite advantages, I am choosing for the moment to stick with what I’ve got. But why? Well, let's start with a couple of simple facts. Whether it will be five years from now or fifteen, mirrorless is the future of the camera market. 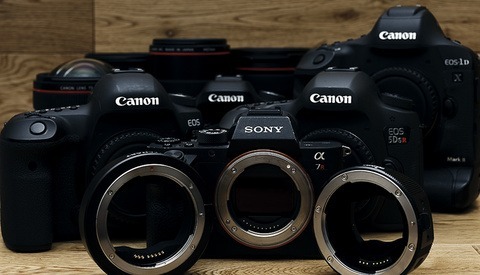 Just like you can buy many types of legacy cameras and lenses to this day, DSLRs won’t completely disappear anytime soon. But, you’d expect that the majority of manufacturers' R&D budgets will go towards the mirrorless market for the foreseeable future. So, it’s highly likely that I will also make the switch to mirrorless at some point. It is also a fact that for NIkon and Canon, these new cameras are their initial entry into the mirrorless market (at this level at least). Just like comparing the first iPhone to the just-released iPhone XS, companies tend to have a kink or two with their initial product launches, which they refine and improve as time goes along. So, as cool as the Nikon Z7 may be on paper, I’m pretty sure the Z7B or Z7 II or whatever they will call it will be that much better. Also, since Nikon and Canon are just entering this market segment, it’s fair to acknowledge that Sony has a leg up in mirrorless, at least for now. However one may feel about their cameras, they have already had time to work through a number of early issues and refine their product while defining what consumers expect in the mirrorless market niche. Again, regardless of how you or I may feel about the current result, it’s clear that they have the most experience. And experience counts. Given my experience with both Nikon and Canon through the years, I don’t doubt they will produce quality products. But it is a consideration. But, all those things aside, before deciding to invest in the Z7 system, I would first have to answer a series of questions. First, is it appreciably a better camera than my current D850 DSLR?I would say no. It’s lighter, for sure. Otherwise, they are very similar. Had Nikon not done such a good job of getting my money just about a year ago for the D850, this may be a different decision. If I was instead trying to decide between my older D800 body and upgrading to either the D850 or the Z7, it might require more consideration. Likewise, if I were just entering the full frame market or buying my first camera, this may also change the calculus. I still think the D850 is currently the better camera. 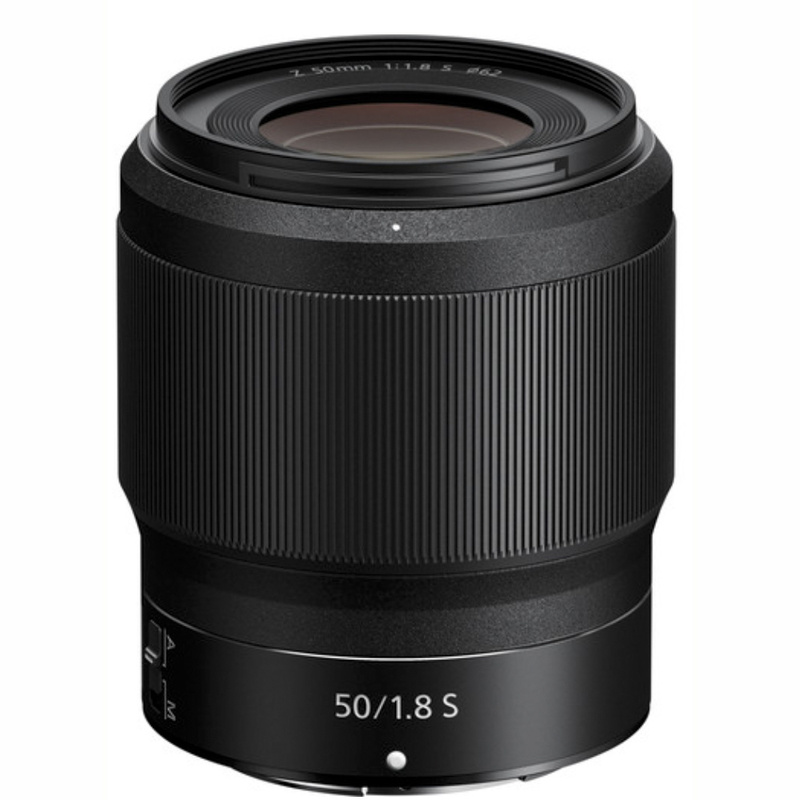 But if I wasn’t already heavily invested in F mount lenses and other support gear and were more free to chose without financial concerns, then the Z7 could be more appealing. As we said, the mirrorless wave is coming. So, if investing from scratch, it may make more sense to start with mirrorless to give you a cleaner growth path in the future. Then again, in that scenario, you would also have more options to consider like Sony or Canon or even Fuji if you don’t need full frame. As I’ve stated many times before, there is no such thing as a perfect camera. There is only the perfect camera for you. So, I can only base my decision on my own particular needs. And while I expect many of you may be in a similar boat, it is also clear that many of you will be in completely different situations. You notice, for instance, that I haven’t spent a lot of time talking about the dreaded single card slot on the Z7. And while I can definitely see the point of wanting two card slots, it simply doesn’t make much of a difference to my own workflow, as I shoot mostly tethered now anyway. The files go straight from the camera to the computer, bypassing card slots completely. I don’t shoot weddings where a redundant card slot would be a major advantage. So, for me, that’s not a deciding factor. The other advantage of mirrorless is that it can give you a preview of your settings when you look through the electronic viewfinder. It’s very close to being WYSIWYG (what you see is what you get). But, as I am using strobes a large part of the time, which only go off for a split second and wouldn’t be visible before I click the shutter, the live preview is not as useful to me. Again, if I were a shooting more natural light or continuous sources, that would be a big upgrade. But in my situation, this would fall into the nice to have category as opposed to a necessity. 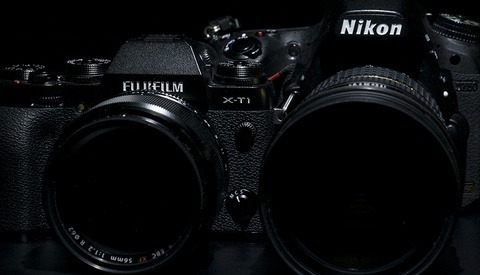 As I said, I am fully aware that mirrorless is the future. And hopefully, this article can’t be read as a condemnation of one particular camera model or brand. Within 3-5 years, I expect that I will have at least one full frame mirrorless camera in my bag. If history is a guide, it will likely be a Nikon. Although, since regardless of brand, entering full frame mirrorless would likely lead to me re-buying a number of lens ranges, the fiscal need for brand loyalty is somewhat less decisive. But, whatever is the right choice in the future, I can sleep soundly knowing that I still have the right camera for the my own peculiar process. And I am more than happy sticking with what I’ve got. For now. Lord have mercy....another one of these. I swear FS must write a "why I'm Switching to (insert BS here)" or "why I'm not switching to (insert BS here)" article every other day. Are we out of ideas for new articles or something?? Actually, what article needs to be written that hasn't already? LOL ya...that's a stupid solution. We could just ask FS to step up their game?? And with these articles, the inevitable comments bitching about the articles, presumably, by people who are incapable of reading titles of articles yet fully capable of reading the articles themselves and wasting their own time commenting on them. Do you think that it is valuable to see an article like this from the perspective or a wedding shooter, studio photographer, landscape photographer, sports photographer, etc.... ? And then there will articles like "why I switched back to a DSLR" and "why I'm switching back to mirrorless". I've yet to work in a studio where AF was an issue, and even if there was one, it wouldn't be anything that manual focusing couldn't rectify. A mirrorless offers zero advantage in a studio. The ability to not need micro focus adjustments is a great thing to have. And shooting wide open with no viewfinder mod to determine perfect focus leaves auto focus still king of the hill. (I wouldn't want to lose brightness in my viewfinder with the typical mod, and geting perfect focus on an eye which is small in the frame at f1.4 or f2.0 by eye is almost an impossible task to get time in time out). And in that respect having decent constant focus at such shallow depths of field when shooting hand held is almost essential to compensate for the model's movement or the photographer's. Again, auto focus does a better job than by hand. So yes, mirrorless does offer advantages in the studio with respect to AF. And that's before the shift of micro focus adjustment that some popular prime lenses exhibit between aperture settings, (like the Canon 85L). This absolute accuracy will be one of the key driving forces for me when I eventually switch to mirrorless. (Oodles of focus points and eye tracking might be nice too). I've yet to work in a studio that would remotely care about mirrorles, let alone eye AF. Perhaps an individual studio owner may somehow think this may be an advantage, but most production studios have tried and true setups. Most are typically tethered as well, making eye AF that much more a moot issue. How on earth did you manage to get a sharp image before the eyefocus AF anything era? It is as if photographers never got sharp images before your beloved Eyefocus AF come out...? For the record I'm a time-served pro with some 25 yrs under my belt. I still use fully manual focus lenses for my broadcast TV work. If you knew of which you speak, you'd know that pre autofocus, we had Split Screen or Microprism options in our viewfinder. Rarely did anyone trust to see if something was in focus without because the image is too small to eyeball it. (Simple mechanics of the human eye and its limitations). And even with these assist options on a suitable camera, it would require honing in on the focus point, which takes time - and longer than a good auto focus system. I've quite mastered the basics - but thanks for the heads up. Otherwise my clients (Sony, Lenovo, IBM, Astellas, Merck Serono, Linkedin etc) wouldn't be booking me. I shoot commercially in the studio and on location. My images have graced print, covers, advertising and a little work with our immediate Royal Family in the UK, so I'm guessing I know a little about my craft here and there. And... if you look at some of the older "classic" images, you'll often find they are indeed not overly sharp. We accept it because we know the limitations of older cameras and the historical value the images offer. Now, try and be polite next time. Makes you look less silly. But again, I actually dont care, and if you get upset by someone questioning your comments, then you should stop writing. Ah... too many words. Noted. I'll draw pictures next time. Thanks for letting me know. You talk from your experience as a model or a photographer? Your knowledge of absence of benefits is practical (you used EyeAF, tried microadjust your lenses) or theoretical? Retouching, actually. I freelance in various places. The studio I'm in now shoots with Canon, Nikon, and Phase One cameras, typically tens to hundreds of shots in a day. Occasionally, dependent on post requirements, I may supervise a shoot. Rarely do I see an image out of focus, and if there may be one, the product is simply re-shot. Most shooting is done tethered, so eye AF is really moot in a studio environment. A mirrorless offers zero advantage in a studio environment. Product... OK. Some studios shoot people. Work as a retoucher tends to require less from things like eye focus than for a photographer, so we're understamnding your point of view. But for those of us that are at the pointy end of photography and those who work with people or things that move in a studio - we need to have a camera that will reliably focus every time. And because we do, that's mostly why you don't see too many images out of focus. No point in re-shooting a shot of a person because of focus issues. The moment is passed and the expression never to be recovered. Well, you're free to continue to make as big a mountain out of a molehill as you like, but the reality is that AF is simply not an issue in daily professional studio production. However, I think that if you and Mr. Petrenko have not done so already, then you need to run out and get yourselves the latest eye-tracking mirrorless cameras out there, because I'm sure they're better than the ones you already have. If you have indeed done that already, then congratulations! You both have been liberated from all those horrible AF issues that plague those pesky DSLRS. Life is short, right? Enjoy! Focus is a big issue in the studio or on location. It almost always is. Rarely will a client accept an out of focus shot when it could have easily been in focus - so yes it is a big issue. As to where it is an issue, I fail to understand that because a shot is done in the studio that AF becomes less important. AF when properly actioned will be faster and more accurate than by hand - particularly with the lack of focus assist ooptions in the viewfinder. I don't have eye-tracking, but it would be darn useful as it would allow greater freedom for subjects to move whilst I retain perfect focus when shooting wide open. As photographers, we've all missed great shots where focus hasn't kept up but the frame was fantastic. Wouldn't we welcome any system that helps us get those illusive shots. You seem to be equating "studio" shots as ones which have no movement. 'Tis not the case in many many circumstances. By your own admission, your perspective is from that of a re-toucher. I'm coming from the perspective of a pro shooter, who shoots in studio and location. And I'll maintain that AF is an issue for anything which moves where I don't have a dynamic option which works better. AF is not perfect on DSLRs by virtue of the system it employs. Mirrorless offers potential improvements, and whilst I'm not rushing out to by a new camera, I'm welcoming the developments which will allow me greater creative freedom whilst increasing my hit rate on difficult shots. OK, I'm a retoucher first and foremost. However I shoot studio work part time. I've been shooting since '73. Been in pre-press since '79. Been digital since '90. Shot digital in the 2000s. Shooting on location is a whole different ball of wax, but you're in control of the light in the studio. "Try shooting at f1.4 on a moving target and tell me AF doesn't play an important part..."
How much of this industry do you think is doing that in the studio? Like I said, buy the latest eye-tracking mirrorless, and be happy. I honestly hope all that hype delivers for you. Umm... a lot of moving shots are done in a studio. Studio doesn't just mean product shots and portraits. At f/1.2-1.4? What are you shooting at speed? I shoot moving models too, but they're usually wearing makeup and/or fashion that damn well better be in focus, not the model's near eye. Dancers? Athletes? It depends on what you're looking to do and Eye-AF is just another option that is now available. If you don't want to use it, that's fine, but don't discount its usefulness across the board just because it doesn't fit into your personal workflow. I know plenty of people that shoot in studio only using manual focus and would say that all auto-focus is useless in a studio environment and I'm pretty sure that we can agree that this isn't really a sensible point of view. Eye-AF is basically like automatic Focus Stacking or 51-point dynamic tracking. It's useful to whoever it's useful to and the rest of us just shrug our shoulders. The more tools available to you, the better. Limitation will sparkle your creativity. To overcome these limitations. Alas, you're never going to quite understand. It's not hype, its just another tool that works and helps us work. And there are enough times when that tool would be useful to make it - well... quite useful. There are times when I've been shooting portraiture wide open, and my client might move around a little, (they don't have to be running around the studio) and eye-tracking in burst mode might have captured a fleeting moment between the "official" shots. In the older days before AF, the photoghrapher would attempt to keep up but let's face it, it's nigh on impossible to be that fast. 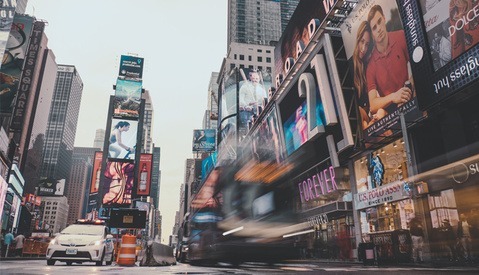 But we accept out of focus images more from older film images more than we do modern digital high res... it's just how clients can see the images at 100% on their screens. So don't assume a moving target is running around the screen. A face on someone sitting down can be a moving target. And yes, I need a camera / lens combo that can shoot accurately at f1.4 when I need it to. I also need it to perfoirm at f16 when I need. I need all the bits in between. I use the tracking feature on my camera when shooting wide open for portraits, because people / me move slightly and I can't put us both on a tripod. But movement isn't just in and out, it is left and right too. Wouldn't it be nice if my current tracking tech could do that. There's a new feature that can - it's called eye-tracking. When we had just centre point options that were any good and then were offered multi-point focussing there were some that counted that as hype. "I focus and recompose" they said. Now we're looking for more and more points to work with so we can work more flexibly. So when tech allows us to choose a focus point creatively and then concentrate on better things, yes I'll take that if it works reliably. And yes I may be more in control of light in the studio - although I usually light when I'm on location, (which doesn't have to be outdoors). But this has no bearing on my desire to maintain control over focus. Focus is focus everywhere. It's hype when it's not useful or it doesn't work. It's simply useful... when it's useful. And I'll take all the help I can get.